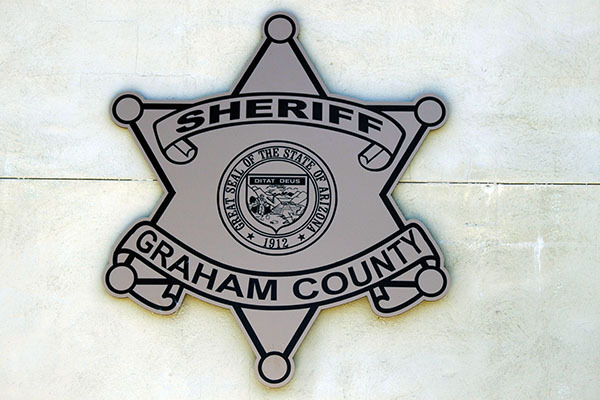 TOPICS:Graham County Jail Booking RosterWho Got Busted? Following is a listing of bookings from the Graham County Jail from November 6, 2017, through November 12, 2017. All information is from the jail’s booking roster. While the following have been incarcerated, each person is considered innocent until found guilty in a court of law. Abbreviations: SPD — Safford Police Department; TPD — Thatcher Police Department; PPD — Pima Police Department; GCSO—Graham County Sheriff’s Office; DPS — Department of Public Safety; GCPD — Graham County Probation Department; EACPD — Eastern Arizona College Police Department; SCPD — San Carlos Police Department. Presto Tuscana, 24, commitment order, self. L.C. Terry, 29, possession of a dangerous drug for sale, possession of a narcotic drug for sale, possession of drug paraphernalia, SPD. Devon Bingham, 35, warrant, GCSO. Anthony Anderson, 28, warrant, GCSO. Devin Thomas, 25, possession of marijuana, possession of drug paraphernalia, warrant, TPD. Rudy Villalba, 51, commitment order, self. Derek Brown, 54, warrant, SPD. Samantha Tellez, 24, warrant, SPD. Christopher Boehm, 27, warrant, DPS. Tyler Spenger, 26, warrant, GCSO. April Garcia, 31, warrant, GCSO. Antonio Bejarano, 25, warrant, SPD. Melanie Lawson, 39, assault, disorderly conduct, SPD. Sergio Garcia, 22, commitment order, self. Rudy Maldonado, 64, warrant, SPD. Alan Marks, 70, warrant, GCSO. Alishia Medina, 27, warrant, GCSO. Eddie Sema, 47, warrant, GCSO. Ruben Molina, 22, commitment order, self. Joshua Merino, 26, disorderly conduct, GCSO.